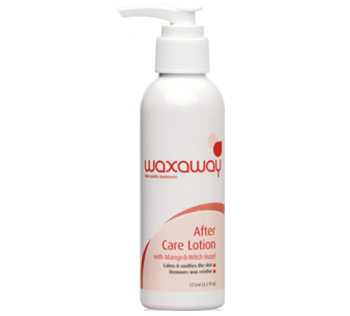 Waxaway After Care Lotion with Mango & Witch Hazel is a dual active formula that removes wax residue post waxing as well as calming and soothing the skin. The natural astringent Witch Hazel prevents the formation of ingrown hairs and pustules. Enriched in Vitamins A & E, this non-greasy treatment nourishes the skin and corrects daily damage, resulting in a smooth and revitalised appearance.